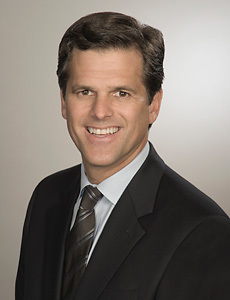 Timothy Shriver (pictured), the Chairman of the Special Olympics, has called on the U.S. Supreme Court to end Texas' "use of stigmatizing stereotypes" in determining whether a defendant has Intellectual Disability and is therefore ineligible for execution. On November 29, the Court will hear argument in Moore v. Texas, a case challenging Texas' use of the “Briseño factors”—a set of unscientific criteria based in part on the fictional character of Lennie Smalls from the novel "Of Mice and Men"—to determine whether capitally charged prisoners have significant impairments in adaptive functioning that could qualify them for an Intellectual Disability diagnosis. In a column in TIME magazine, Shriver called Texas' method of adjudicating Intellectual Disability "horrific." He wrote, "[t]he inaccurate Texas standard reinforces one of the most damaging stereotypes about people with intellectual disability—that they can’t be 'good' at anything." In Moore's case, the judge relied on the fact that Moore was able to play pool and earned money mowing lawns as evidence that he did not really have an intellectual disability. Shriver applauded the Supreme Court's 2002 decision, Atkins v. Virginia, which barred the death penalty for defendants with Intellectual Disability. His article highlights some of the reasons people with Intellectual Disability should be exempt from execution: "people with intellectual disabilities have abilities but also challenges: they are less able to advocate for themselves; more likely to be coerced into behaviors they don’t understand; less likely to understand the implications of their actions and at higher risk for unreliable trials and wrongful convictions." Shriver encouraged the Court to bolster that protection by ending Texas' practices, which he said contravene established medical and clinical criteria: "It’s time for the Supreme Court to remind our nation that the Constitution and the vision of rights it embodies have no place for ill-informed and deadly stigmas." (T. Shriver, "Special Olympics Chair: Texas’ Standard of Intellectual Disability Is Horrific," TIME, November 18, 2016.) See New Voices, Intellectual Disability, and U.S. Supreme Court.